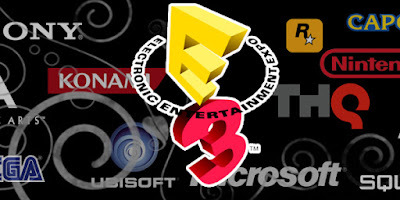 E3 2015 was one of the best shows in years. 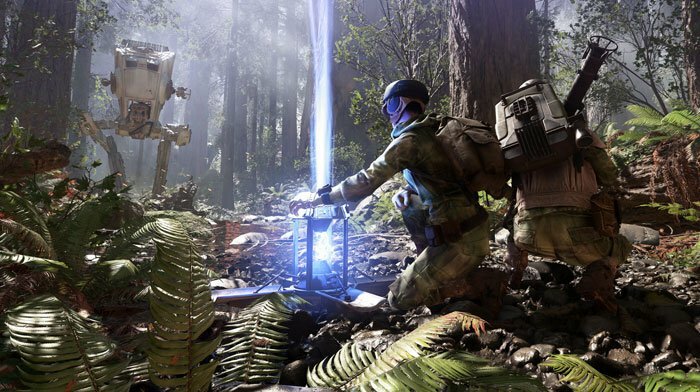 A current of optimism ran through the crowds roaming the halls of the Los Angeles Convention Center, a palpably positive vibe powered by booth after booth of really good video games. It seemed every company had something worthwhile to show, from big-budget blockbusters to smaller experimental experiences. What’s the next big thing? So many games qualified, it was hard to keep your scoreboard straight. But for the sake of brevity, I’ve whittled down my enormous list of awesome things to ten. 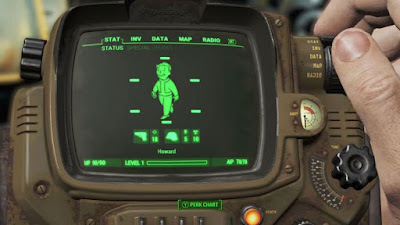 Here’s what really blew me away at E3 2015. The post-apocalypse is hotter than Hansel right now, but there can only be one king of the wasteland. Bethesda’s immense, open-world role-playing game isn’t just another excuse to pick apart mutants and hoard Nuka-Cola — it’s a feature-rich beast that gives players impressive control over their scary new world. Yes, you’ll exit a cozy vault and enter a dangerous hellscape, but you’ll also build bases, craft and upgrade weapons, and hang with a helpful canine companion. Bonus: the coolest Collector’s Edition trinket ever. E3 is filled with surefire sequels, the sorts of blockbusters that publishers depend on on to hit quarterly numbers. Those are all well and good (and all over this list), but the show is also about ambitious new ideas that challenge conventions. 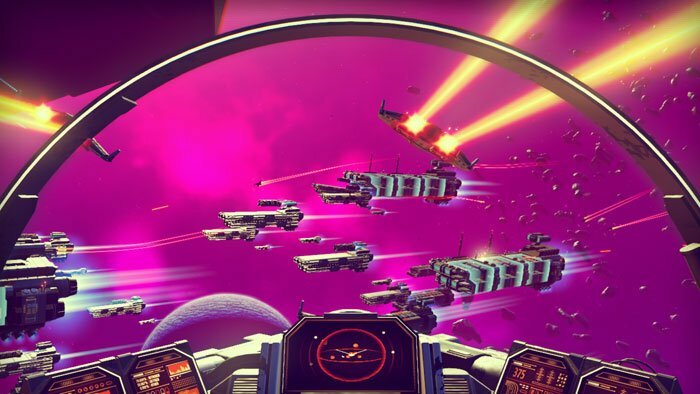 No Man’s Sky — a procedurally-generated universe filled with 18 quintillion (!) planets — does exactly that. Is it a space dogfighting shooter? A trading game? Minecraft on the moon? Yes, yes, and sure, why not. Will it be any fun? Who knows, but I’m incredibly excited to find out. It’s a big year for the far away galaxy, but not just because of that little student film project sneaking into theaters this holiday. Star Wars: Battlefront returns in 2015, bringing with it epic multiplayer battles set on Hoth, Tatooine, Endor, and other famous locations. It’s looking great, perfectly nailing the look and feel of the universe and delivering fast, chaotic action. You couldn’t walk twenty feet at E3 without tripping over a VR headset, but to see the coolest VR demo of the show, you had to claw your way into a frigid room tucked away in the Oculus booth off the show floor. 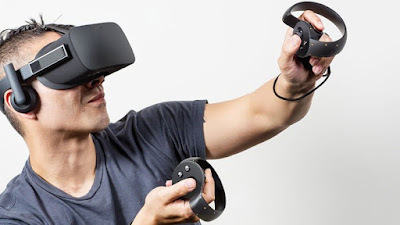 That’s where I found Oculus Touch, the company’s half-moon shaped controllers designed to let you naturally interact with objects inside of a virtual space. And that’s exactly what I did. Across a virtual table stood Oculus founder Palmer Luckey (or at least his virtual head and hands) and we proceeded to play catch, light fireworks, shoot slingshots, and, well, just exist together in the company’s “Toybox” test bed. After just a few minutes, the smartly-designed Touch controller melted away. I barely noticed it as I giddily waved sparklers and shot Palmer with a shrink ray. It’s not a game on its own — the Toybox is an internal tool for developers — but it’s a remarkable achievement that bodes well for our VR future. 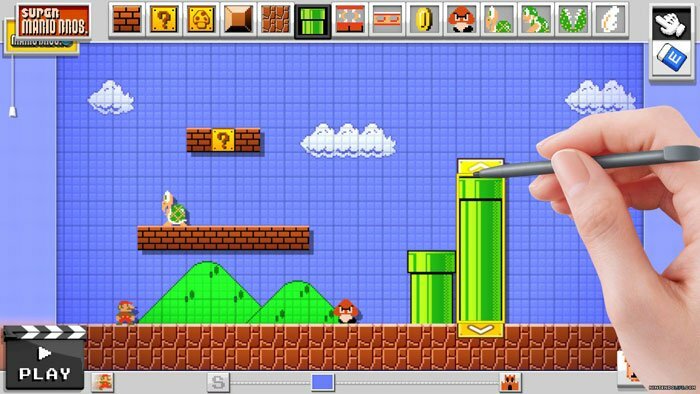 If, like me, your eyes sort of glaze over at the sight of a level editor, you’re probably not interested in Nintendo’s Super Mario Maker. That’s a mistake. This slick, playful take on the portly plumber’s legendary platforming series offers the most immediately gratifying level creator I’ve ever seen, a drag-and-drop system that lets you design Mario levels like a pro in minutes. Playing through fan-made levels is often hilarious, too. Think your 8-bit game is retro? 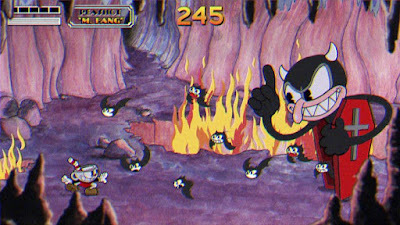 Try Cuphead. Channeling the look and feel of a 1930’s Max Fleischer cartoon, it’s as vintage as it gets. It’s also flat-out gorgeous, but don’t let its playful looks fool you: this is an exceptionally difficult platform shooter heavily influenced by hard games like Treasure’s classic Gunstar Heroes. Which makes sense: The 1930’s weren’t easy. We were all a little weirded out when Microsoft bought Minecraft developer Mojang for $2 billion. After seeing Minecraft running in the company’s Hololens AR/VR headset, I think they might have underpaid. 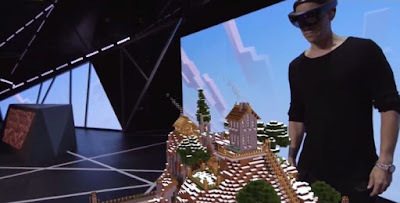 Watching a Minecraft level spring forth from a coffee table stunned attendees at the Microsoft press conference, but get up close and personal with it and it’s just as impactful. I could have burned hours building and destroying the little holographic diorama. My one gripe? The Hololens viewing range is too narrow. If they fix that — and presumably they will — this is game-changing stuff. When game developer extraordinaire Naughty Dog shows, people watch. Anyone who caught Uncharted 4 in action knows why. It’s Indiana Jones on steroids, a graphically spectacular action romp that seems to have everything an aspiring adventurer could want. 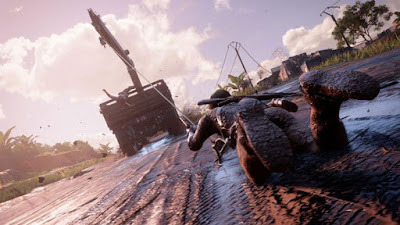 Star Nathan Drake might best be known for clinging precariously to cliffs, but he’ll also get into high-speed car chases, explosive firefights, and bare-knuckle brawls — all at the same time. I have never openly wept during a press conference, but I might — might— have gotten choked up when Sony started their E3 Showcase with this long-in-development adventure game. Created by Fumito Ueda, The Last Guardian tells the tale of a boy and a dragon-ferret-dog bonding as they explore a mysterious land. 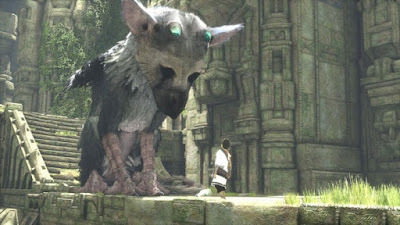 It’s filled with what looks like a combination of the puzzle-solving and grandiose gameplay found in both Ueda’s past two games: the masterful Ico and Shadow of the Colossus. I’ve been waiting for six years to see it in action again, and it didn’t disappoint...though it’s going to be a real bummer when that dragon-ferret-dog dies at the end (come on, you know it’s coming). 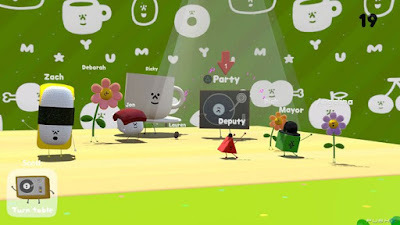 The Mayor of Wattam is green, cube-headed, and happens to pack a bomb under his bowler hat. That’s not the weird part. The citizens of Wattam, each a bipedal object, from a mushroom to a toilet, have unfortunately been scattered across the world. That’s also not the weird part. Your job as mayor is to stack citizens on top of one another, climb the heap, and then detonate it to attract more lost citizens. That’s still not the weird part. To find everyone, you’ll need to combine people in weird ways. Feed the mayor an apple, for instance, and he’ll do this. Okay, I guess that’s the weird part. Put it all together and you get the sort of wildly creative, totally fresh experience that made designer Keita Takahashi (Katamari Damacy) a personal favorite. I don't give a crap, I want Cuphead now! Right now! It's only coming to XB One and PC although crossing my fingers a PS4 port will be made eventually.